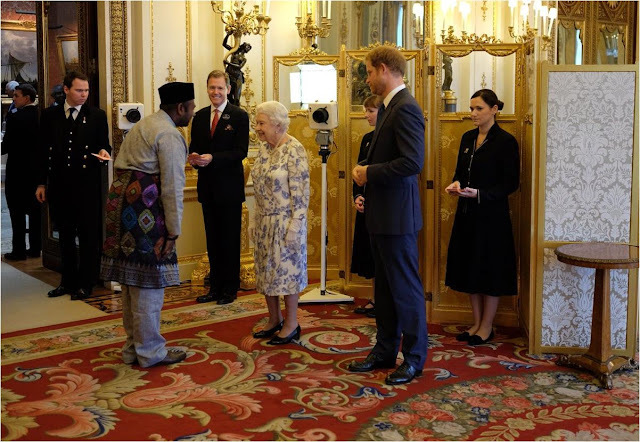 The Queen presented awards and hosted a reception for the Queen's Young Leaders at Buckingham Palace, with other members of the Royal Family present. She also held audiences and an investiture today. A busy day for HM, but she tackled it in the best possible way: with both Prince Harry and the Cullinan V at her side.